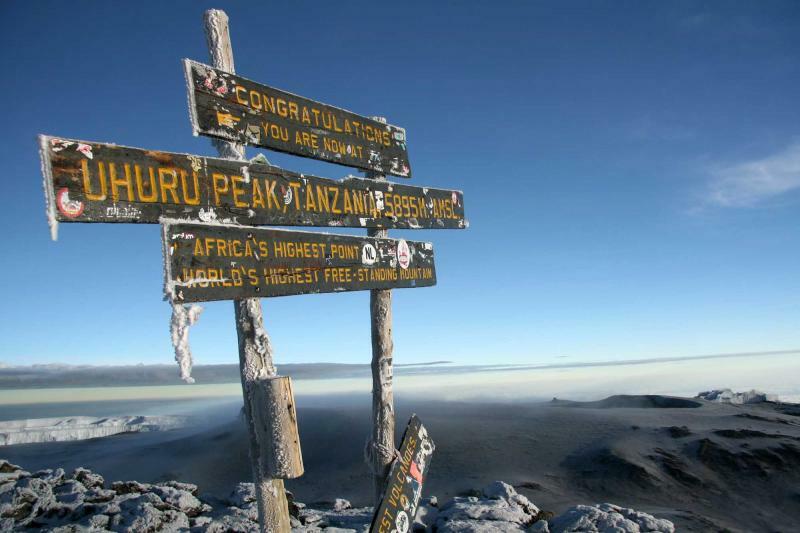 Beautiful and inspiring, there are few experiences that can match scaling Africa's highest mountain. 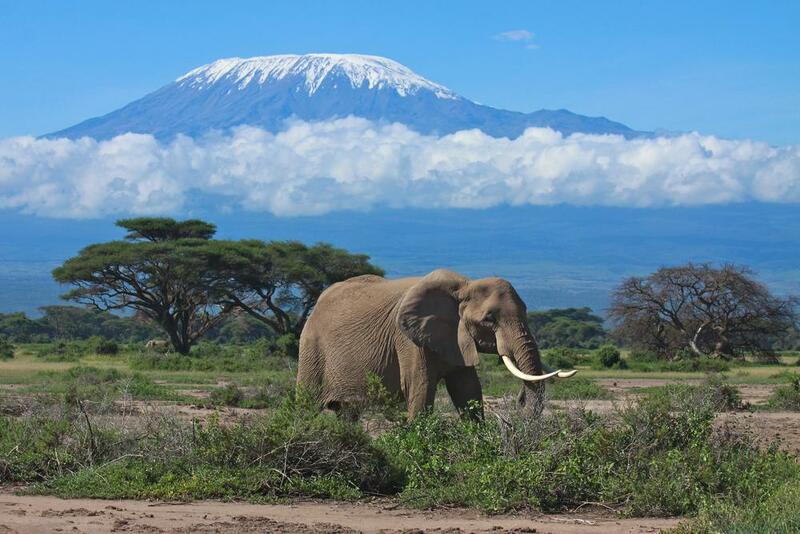 This epic adventure combines climbing Mount Kilimanjaro with four days relaxing in Moshi and Arusha National Park for an unforgettable wildlife safari tour. The challenging Umbwe Route is regarded as the most spectacular way up the mountain, and it offers an unforgettable ascent to 5,895 meters. Mount Kilimanjaro towers over the town of Moshi, the world's highest free-standing mountain always igniting the imagination. It looks imperious, the 5,895 meter high summit almost seeming out of reach. Not only will this itinerary take you to the snow-capped peak, it takes the Umbwe Route, the most challenging and spectacular trail up the mountain. 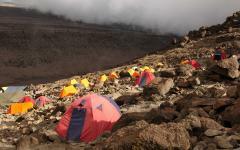 After two days relaxing in Moshi you set off on an epic five day climb. The trail is steep and exhilarating. But it's also quiet. 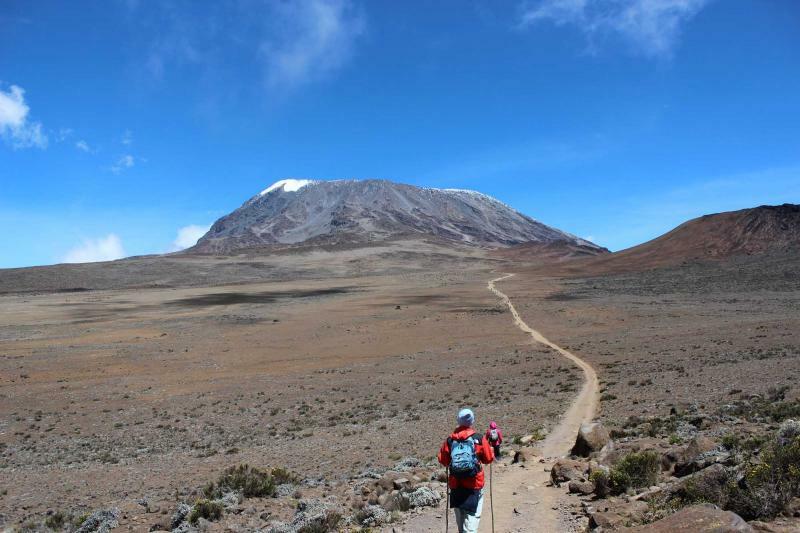 Umbwe Route is the least used Kilimanjaro route, meaning that there are very few other hikers on the trail or at the campsites. You're hiking in untouched nature, on a route that ascends through lush rainforest, alpine desert, and a snowy wonderland. It's not always easy, and that's part of the Umbwe Route's appeal. You'll be camping in virgin rainforest, wandering across lunar-like landscapes, and safely clambering along steep walls with the whole of Africa beneath your feet. Easing you into Tanzania is two nights’ stay in Moshi, where you'll explore its colorful markets and vibrant atmosphere. Then the trek starts with a 1200 meter vertical ascent through coffee plantations and thick tropical forest. You just carry a day-pack as your team of guides and porters carry the equipment, set up camp, and cook filling meals throughout. Their intimate knowledge of the trail keeps you safe, particularly as you make a breathless scramble up to the Baranco Hut. After two days of hiking you're almost at 4000 meters and the stupendous views accompany every step. The Baranco Wall provides a thrilling challenge the next day as you ascend towards the snowline. Then you make a 1am start on the fourth day of hiking, weary legs galvanized by the thought of the summit. A slow sunrise bathes the African savannahs in red and yellow as you press on from Stella Point to Uhuru Peak. Each step brings you closer to 5,895 meters, and the sign located there confirms that you've scaled the world's highest free-standing mountain. Your dreams have been realized and it will take weeks to wipe the smile off your face. Savor the views and congratulate your fellow climbers. But take time alone to appreciate the very special feeling that accompanies the summit. 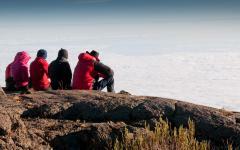 After one more night on the mountain you descend to Moshi and a relaxed two days that will complete your vacation. Rest the legs before going on a gentle Moshi town tour on day eight. 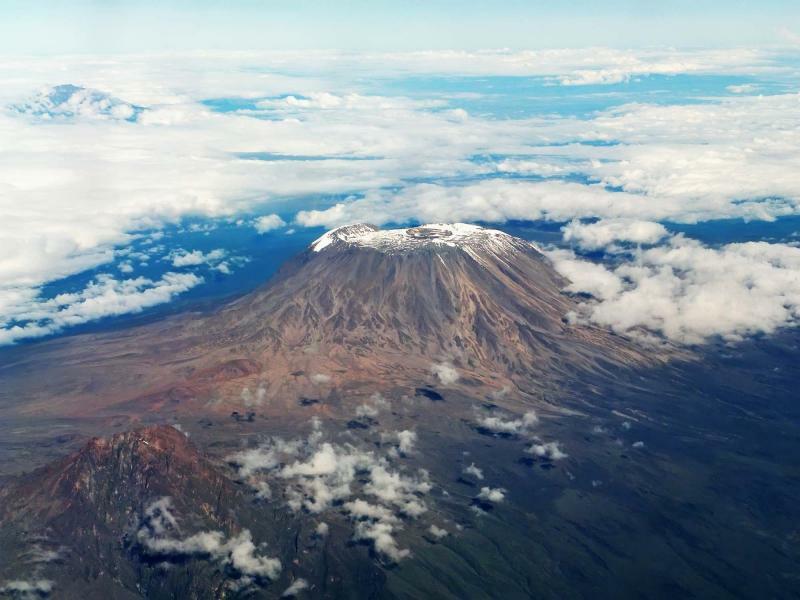 Gaze up at Mount Kilimanjaro. Yes, you really did just climb it. 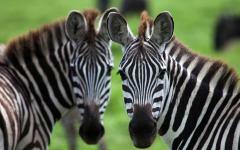 Then, see another wild side of the country as you go on a Tanzania safari through Arusha National Park. Elephants, buffalo, zebra, giraffe, and elusive leopards all await you. But, like mighty Kilimanjaro, it's often the beauty and serenity of the landscape that will linger longest in the memory. 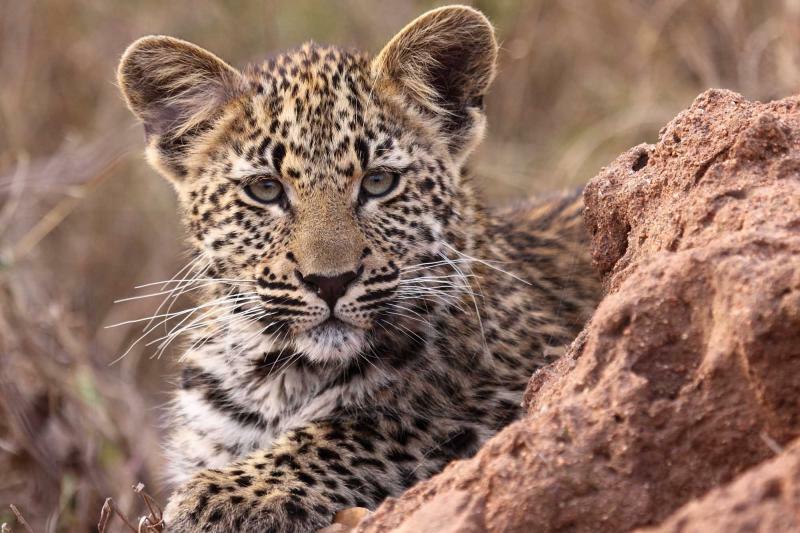 A spectacular climb, a gentle town, and a stunning safari; this itinerary will offer a multitude of experiences that showcase the inimitability of Tanzania. Moshi is the gentlest of Tanzanian towns and makes for the perfect start to any African vacation. You'll be met at Kilimanjaro International Airport and transferred to Moshi and the tranquil Keys Hotel. 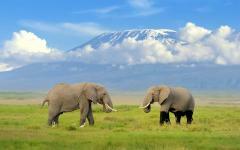 It's a one hour journey and glimpses of Mount Kilimanjaro should accompany the trip. Lounge by the hotel pool, enjoy the relaxing terrace, and savor the serenity. Just around the corner, the enchanting sights of east Africa are yours to explore. Take a walk through the market, enjoying the vibrant colors and bizarre collections of things for sale. Sample fresh fruit from roadside stalls or find a cafe terrace for a fresh cup of local coffee. Then return to the hotel and rest up after your long international flight. In the early morning Mount Kilimanjaro towers over Moshi. Of course the mountain never moves, but in the clear morning air the snow-capped summit majestically appears over the town. From here it looks even more imperious, but in just four days’ time you should be standing on the summit. Surrounding Moshi is a verdant landscape of rolling hills, farmlands, and thick forests. After a relaxed morning in the town you can take an optional excursion into the wilderness, trekking to a beautiful hidden waterfall. As you get nearer to the mountain it seems to loom larger and larger. But it also feels like it's coming within the realms of possibility, particularly when you overnight at Umbwe Cultural Tourism Farm. Iconic sounds of African bush surround the farm; birdsong meanders through the trees, a boy shouts as he herds cattle, while the gaps are filled with encompassing silence. 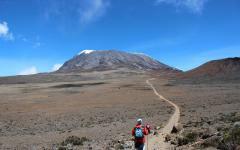 You'll meet your experienced trekking guide who will provide a thorough brief about the climb. Now is also a good time to check through all the equipment and clothing. With Uhuru Peak gazing down, enjoy a good night's sleep before your climbing adventure begins. With fresh legs and determined lungs, today offers a great chance to climb some serious altitude. From the trailhead at 1650 meters, you set off on the fertile lower slopes of the mountain. Coffee plantations and rolling farmland are punctuated by tiny African villages. The trail is often muddy and the air can be sticky with moisture, but the first couple of hours offer gentle inclines that slowly break you into the Kilimanjaro experience. With the last village behind you, the trail ascends through thick rainforest. Black and white Colobus monkeys play in the trees, jumping between branches and following every hiker with a strange stare. Raucous hornbills provide a beating soundtrack, their inimitable calls mixing with high-pitched birdsong. On this trail there are few other people. 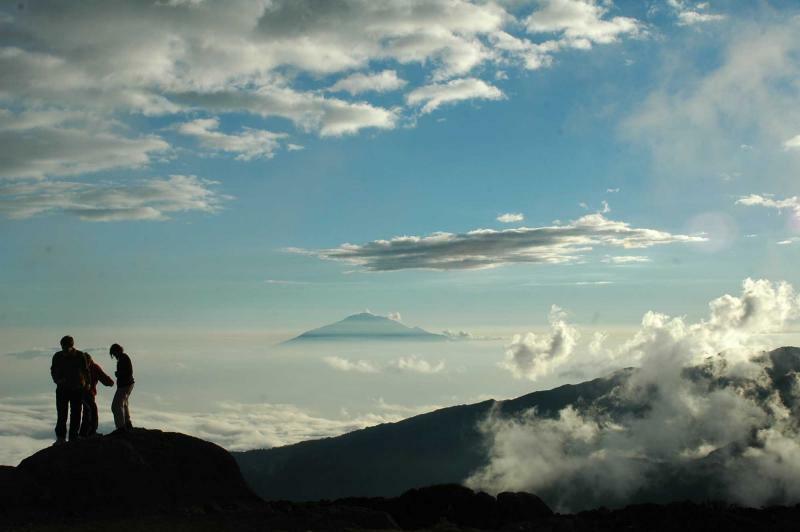 The Umbwe Route is the least used of Kilimanjaro's trails. Often it's just you, your guides, and the mountain. That's in contrast to the popularity of the other routes. Umbwe also offers the shortest and most direct route to the peak. This does mean that the climbs are steeper and this route is normally recommended for hikers with some experience. No mountaineering or climbing skills are required, but it's good to have previous experience on multi-day treks and/or altitudes exceeding 4,000 meters. 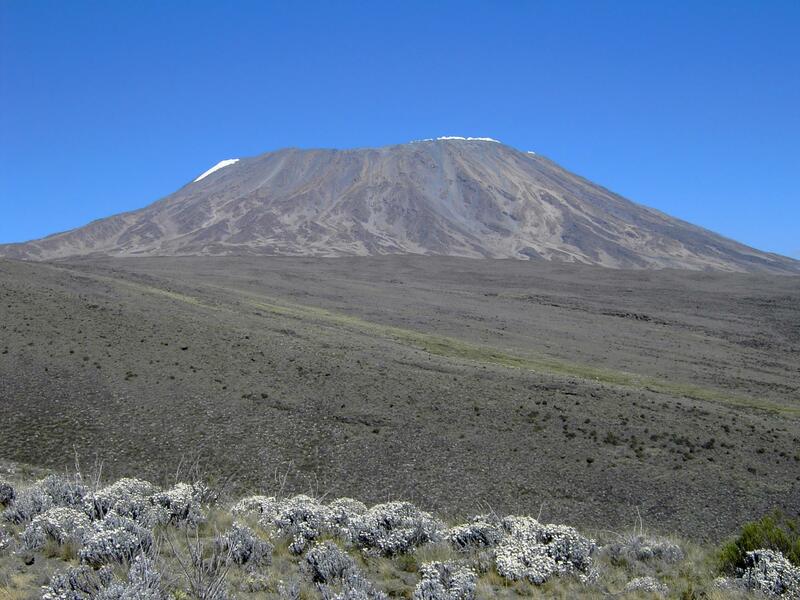 Of course, no route up Kilimanjaro is ever easy, but the Umbwe route is generally regarded as one of the most challenging. However, it's also generally regarded as the most spectacular way up the mountain. Deep in the rainforest the ascent gets steeper. Overhanging branches cover the trail, and a rolling mist often filters through the trees. Overgrown tree roots are used as hand holds as you slowly climb the ridge between the Umbwe and Lonzo Rivers. Gigantic ancient trees stand guard as you continue on a raw trail that hasn't been bombarded by thousands of footprints. Weaving and winding, the path offers spectacular views of forest gorges, before narrowing and bringing you to the wonderful Umbwe Cave Camp. In a small clearing, surrounded by enchanting forest, the camp offers a complete immersion in the life of the rainforest. Peculiar sounds continue through the night, the snowy peak can be spotted through the trees, and overhanging branches make everything briefly resemble a scene from Lord of the Rings. Shortly after leaving camp the forest thins and you walk above the tree line. Rainfall is sparser here and the vivid vegetation gives way to dramatic rocky terrain. A steep narrow trail takes you along the breathtaking Umbwe Ridge. Dramatic drops lead off from the trail, and at times it feels like the whole of Africa is waiting beneath your feet. That's especially true on the short scrambles that are assisted by tree roots. Exciting and breathless, this day's hike is one that will always linger in the memory. 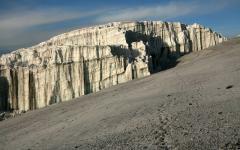 Gains in altitude bring extended glimpses of Uhuru, the snow-capped summit standing proud against a brilliant blue sky. Eventually the trail widens and the last half hour is an easy walk to the campsite beside Baranco Hut. During the trek, a team of porters carries all your equipment and luggage, often hiking ahead of the group in order to set up camp. You just have to carry a day-pack with the essentials: sunscreen, waterproof clothing, a camera, and 2-3 liters of water. Despite being in the wilderness, the camps are comfortable. 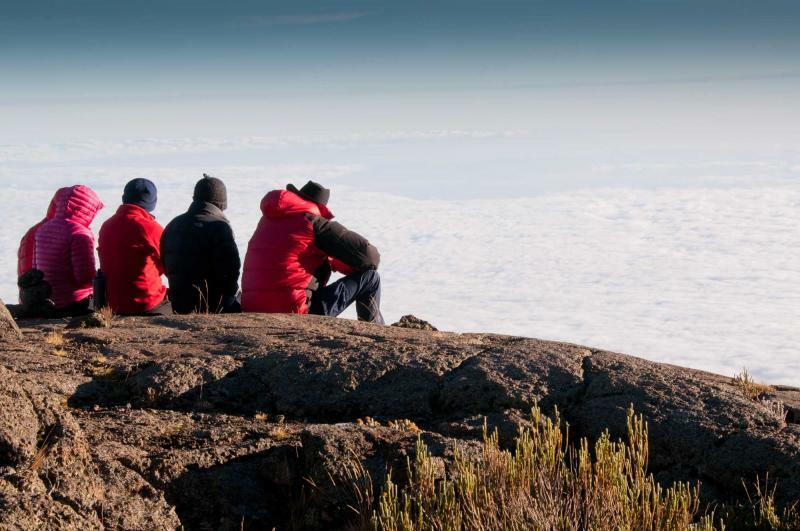 There are no showers, but what did you expect when climbing Africa's highest mountain? Furthermore, washing in fresh mountain streams is always more effective than caffeine in the morning. After a long day of walking everybody quickly slips into a deep sleep, particularly as you're cocooned in specialist mountaineering tents. The morning view always inspires the legs for the trek to come. The highest point in Africa towers over tonight's Baranco camp, the stunning Southern Icefields sharply contrasting with the stark mountain rock. From here the summit looks close. By tomorrow it will almost be within touching distance. The Baranco Wall looks formidable, but like many sections along the Umbwe Route, it's gentler from close up. An adrenalin pumping climb takes you closer to the snowline. It's a well-trodden path but some exposed sections require extra care. Don't worry, your experienced guides will assist you and ensure that you are safe. They combine an intimate knowledge of the trail with careful consideration of your fitness. Each hike goes at your pace, maximizing your chances of reaching the summit. Along the Baranco Wall, climbing on the edge of the mountain, you're surrounded by silence and breathtaking views. A sense of insignificance begins to filter into your thoughts. 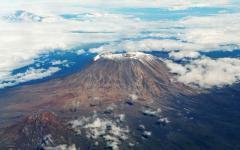 This really is the roof of Africa and the scale of Mount Kilimanjaro defies words and photos. From the peak of the ridge the trail drops into the Karanga Valley, where glaciers make ideal viewing at lunchtime. An undulating path then heads towards the summit as the Umbwe Route joins other routes. Magnificent views continue in every direction. Uhuru Peak towers in front of your eyes, but scan around for unobstructed vistas of Mawenzi Peak and the east African savannahs that lie miles below. Barafu is the Swahili word for “ice”, but even at 4,600 meters you're below the snowline. At these heights the effects of altitude can kick in. For safety reasons, experienced guides won't allow any climber to continue if they show signs of acute altitude sickness. It's one of the main reasons why this trek is recommend for hikers with some previous experience. Altitude affects everybody differently and some climbers won't notice anything. However, inexperienced climbers could find that the altitude curtails the climb. Nestled amongst rocky outcrops, the Barafu Camp is perfectly sheltered. And the views gently massage the lingering aches in the legs. Rest, sleep, and prepare yourself for the climb to the summit. At 1am the camp is a hub of activity, sleepy climbers readying themselves for the challenge ahead. Such an early start is essential, as you must get up and down before the snow turns into slippery sludge beneath the sun. There's no kidding about today; it's a long hard uphill slog. Under torchlight or moonlight the trail is a hive of climbers slowly plodding to the summit. Tiredness and pain could overcome, but they don't. Determination is important, but every step closer to the peak galvanizes the body. Each meter in altitude brings fresh energy to weary legs, and you easily lose count of the number of times you've already pictured yourself on the summit. When the sun slowly arrives on the horizon determination is no longer required. Uhuru Peak is suddenly in sight and the last hour of climbing feels likes it's being done with someone else's legs. At Stella Point, on the crater rim, Africa dances beneath the yellow and reds of the sunrise. 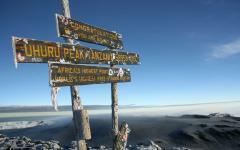 Continue on the rim, each step bringing you closer, but why does Uhuru Peak always seem to stay just out of reach? Persevere, take deep breaths, and slowly your dreams are realized. Standing on the summit at 5,895 meters feels surreal. Yes, you've made it. A famous sign lists your accomplishments. 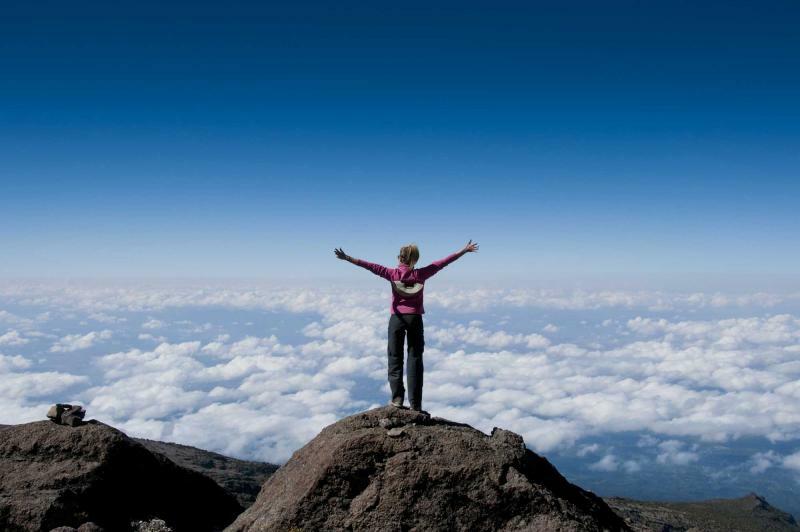 You've scaled the world's highest free-standing mountain, Africa's highest mountain, and as the sign boldly declares, “Congratulations!” Savor the vistas, revel in your achievements, and spend the next few weeks struggling to wipe the smile from your face. 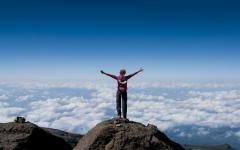 Standing on Uhuru Peak is a very special feeling, one that few can claim to have experienced. Relish every second of it. After the peak, smiles and laughter accompany the descent. Walking or half-running down the scree you return to the Barafu Camp for a well-earned breakfast and countless mugs of tea and coffee. Enjoy the two hours’ rest as you've already been on the trail for almost twelve hours. The day isn't finished and all too soon you must continue the descent, crossing vast fields of heather to the Mweka Camp. When the legs begin to ache the mind always take over. This day will never be forgotten and images of the ascent will flood your mind as you slip into a dreamy sleep. After yesterday's exertion it can be difficult to motivate the legs for the final descent. But as you leave moorland behind and re-enter the rainforest, the scenic wonders of the trail help keep everyone moving. Birdsong flutters overhead, dense vegetation resembles something from a prehistoric time, while the smells of freshly drenched forest help energize the lungs. Anywhere else in the world today's hike would be described with countless superlatives. 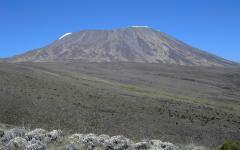 Because it follows an ascent of Uhuru Peak, this part of the trail is often forgotten. But take time to relish the sights and sounds, and rather than rush to the finish, enjoy your last few hours on mighty Mount Kilimanjaro. At the park gate you'll celebrate the end of the climb with a picnic lunch and well-earned drinks. By now you'll have made many great friendships with your guides and porters. They're always enthusiastic and keen to share stories; after all, that's what hiking up a mountain with strangers is all about. Learn from their immense knowledge, enjoy the cultural interaction, and take this rare opportunity to get to know people with a very different way of life. It's just a short drive back to Moshi, where the comforts of a hot shower and a luxury bed await. Some morning sleep-ins are more deserved than others. This morning surely tops them all when it comes to rationalizing staying in bed a little longer. After a leisurely morning you'll go on a relaxed Moshi town tour. 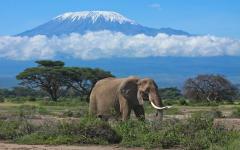 Gaze back up at Mount Kilimanjaro. Did you really just climb to the top? Sample some banana beer, spend languid hours relaxing by the pool, and allow your body to slowly recover from the last few days. It wouldn't be an East African itinerary without coming face to face with its most unique residents. 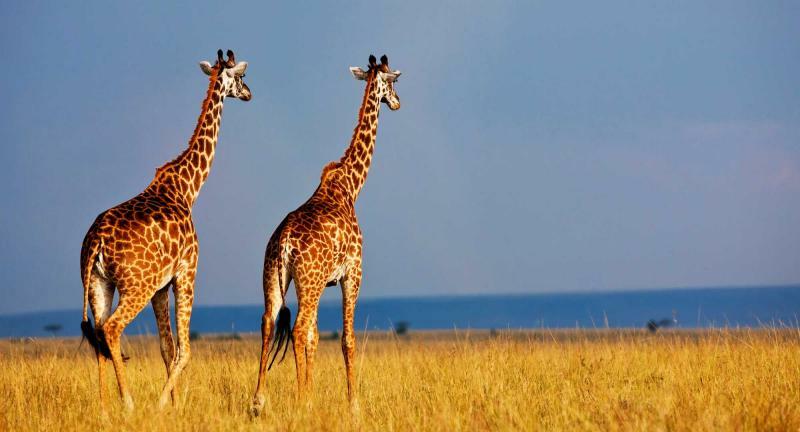 Arusha National Park may be much smaller than the Serengeti or Ngorongoro Crater, but it's extremely accessible and allows you to witness wild game without having to commit to a multi-day safari. 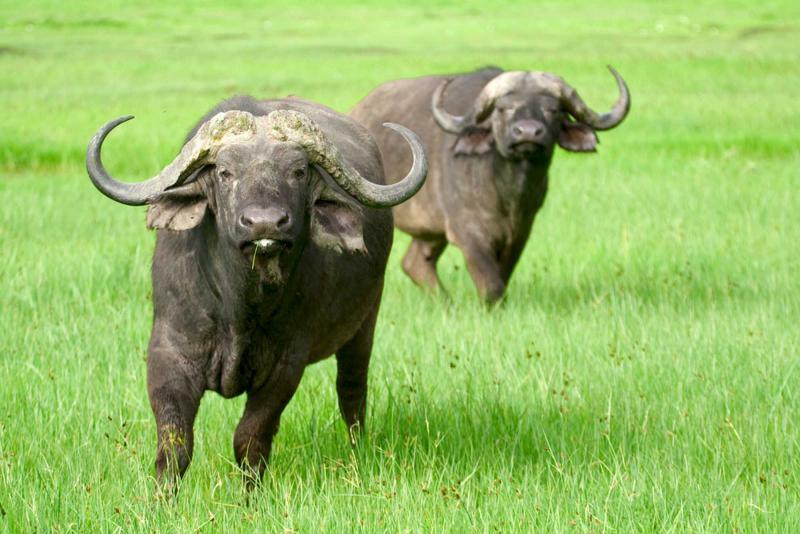 Buffalo herds wander along vivid grassland, the first of the Big Five the easiest to spot here. 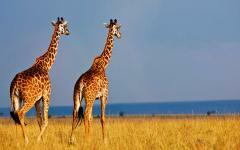 Graceful giraffe and elegant zebras are regularly seen, each bringing their delightful colors to the landscape. Warthogs scurry across the ground, while large elephants can be spotted amongst the trees. If you're very lucky, you might glimpse one of the park's resident leopards. A game drive here is a perfect introduction to African wildlife, and the beauty of the landscape is as unforgettable as the animal spots. You'll be transferred to the airport for your international departure.